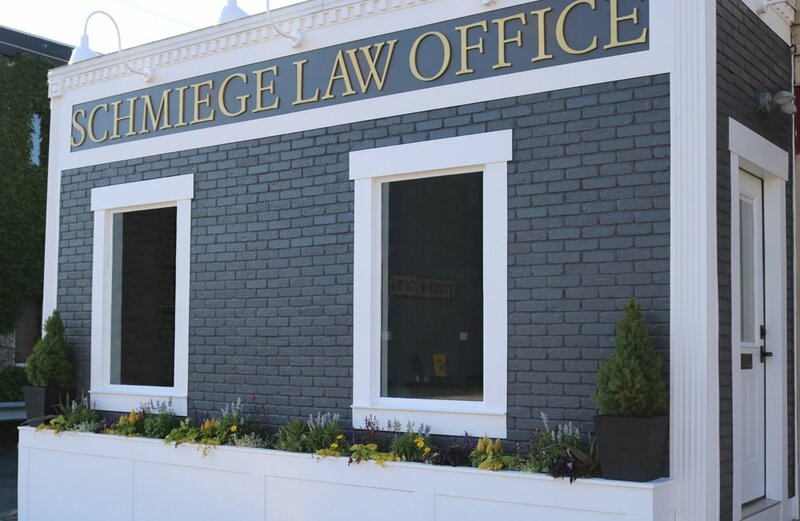 Family Law, Divorce & Worker Compensation Lawyer Serving Western Wisconsin - Located in New Richmond, WI - Attorney Anne Schmiege Law Office, LLC serving families and individuals. Helping you find your way! Serving St Croix County, Hudson, Barron County in family law, child custody, child placement, divorce, maintenance, child support, workers compensation, workman's compensation, personal injury, when clients are in a car accident and suffer back or knee injuries. Attorney Anne Schmiege and her experienced staff will help you navigate through one of the most difficult times of your life, listening to your concerns, answering your questions and advocating for your interests. Whether you are going through a divorce or trying to get fair compensation after a work injury, you need the help of an experienced attorney to guide you through the process. Anne has nearly 14 years of experience as an attorney and has focused her practice almost exclusively on family law and workers compensation matters. She gives her clients straightforward, no-nonsense advice, she works cooperatively and professionally with her clients and with the other side to try to reach a mutually beneficial resolution and, when that is not possible, she represents her clients’ interests zealously and aggressively in court. If you find yourself faced with a family law matter or a work injury and are unsure about where to turn and how to protect yourself, Anne will help you find your way. Since 2003, Anne has helped many individuals achieve workable solutions to highly contested family law problems. We will work with you to learn your personal situation and to help you find your way through whatever challenges you are faced with. If you have been injured at work, we want to get you back to doing what you love and with the people you care about most. We understand the challenges that come from personal injury, and we will help you navigate the complex workers compensation laws and procedures.